It’s been my dream for quite a while to visit the UK. I’ve been following tennis since I was a kid, as well as Premiere League soccer the past six years. I finally decided to bite the bullet and take a solo trip to London last week. I took the red-eye out of philly and landed at Heathrow airport 7:30am. The first day was spent sight-seeing and catching up on some sleep, since the passenger next to me decided to use me as a shoulder rest the entire flight. The following day was the highlight! 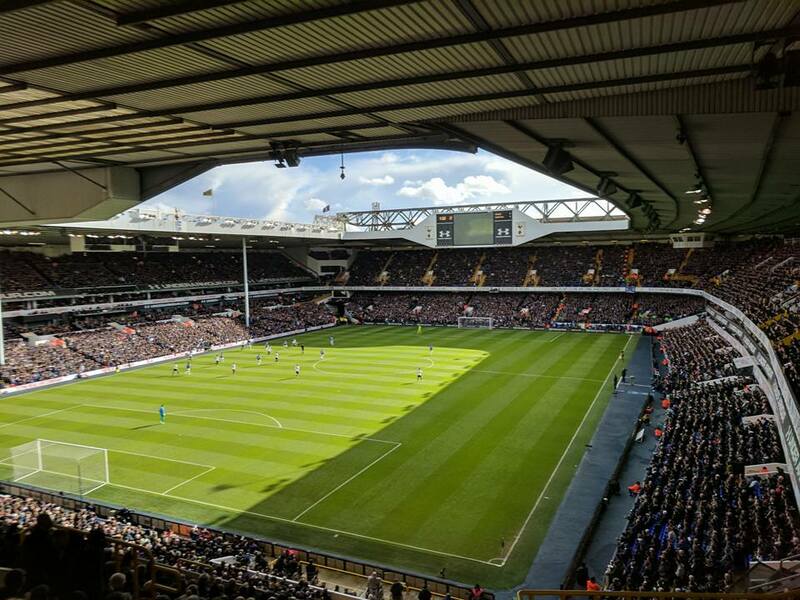 Tottenham vs Everton at White Hart Lane, a stadium almost 120 years old. I didn’t see much of the hooliganism you hear about, but more a no-nonsense respect for the game. If there were 34,000 fans in the stadium that day, 32,000 were dressed in navy blue (Tottenham’s colors), and the visitor’s section in bright blue (Everton’s colors). I purchased a rain jacket back in the states and didn’t realize until boarding the train to the match, that it matched Everton’s bright blue jersey. The looks I was given were equivalent to someone dressed in Cowboys colors at an Eagles home game. I quickly removed my jacket and kept it rolled up until I could analyze the vibe at the stadium. I noticed a few other Tottenham supporters wearing alternate colors so I put my jacket back on, and glad to say no hassles whatsoever. I wondered why fans were literally shoveling food down their throats outside the grounds. No one and I mean no one was eating, drinking or turning their eyes from the action until halftime. The following day was spent touring Wimbledon and Shakespeare’s Globe Theatre. The most interesting tidbit of the entire trip came on the Wimbledon tour. There was a giant, what looked like a dough roller when you entered the grounds. 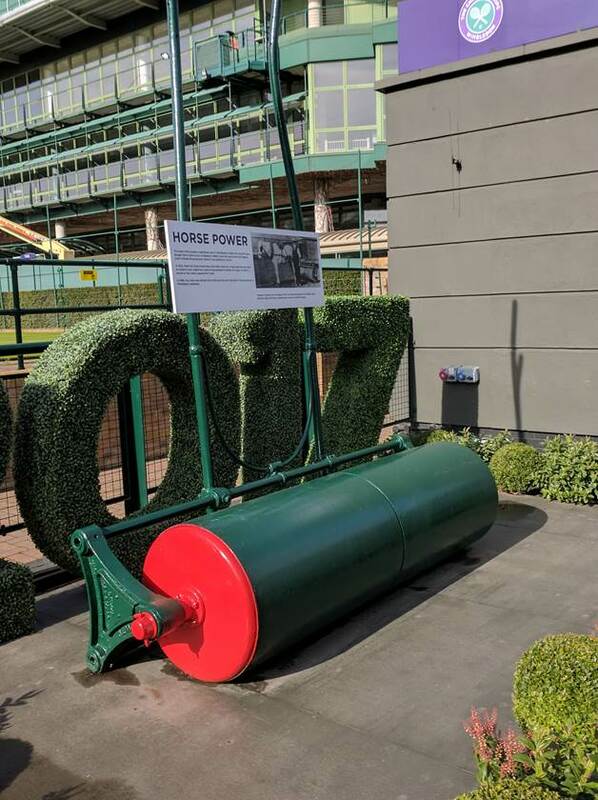 When The All England Club first opened, they wanted the grass to look immaculate and needed to raise money for a grass flattener, aka the giant dough roller. To raise money, they decided to hold a tennis tournament and since it was so profitable, continued from that point on. Talk about the cart before the horse!